Home / Word / Here Comes the Bride! “Here Comes the Bride all fat and wide” is a rather undignified song sometimes playfully sung by children in England when play acting a wedding. But it reminds us of a much more serious moment when “the Bride has made herself ready” Rev 19 v 7 and the Bridegroom returns to collect His beloved. Yesterday we reminded ourselves that Jesus, our Bridegroom, is returning for us, His Bride, and we too must ‘make ourselves ready’ and that a key element to being ready is to begin a journey or ‘rite of passage’ towards our marital identity which is only realised within an ever-deepening sense of intimacy with Him. We like the ‘dove’ must also be like this bird of passage. We too must arise and go on a journey of self-discovery. It is helpful here to point out how some Jewish wedding customs are significant for the Christian in the same way in which the other feasts of Israel are. The ancient practice of taking a wife was just simple but rather unromantic. A man would take his chosen woman home, have relationship with her and she would be his wife. Details such as the willingness of the woman or her parents are not clear. However, God had better plans and gave guidance to His people on these matters in the Torah. Jesus referred a number of times to these practices in order to help us understand the nature of the relationship He has with us, His Bride. Before leaving the young man would announce, “I will return for you when it is ready”. The usual practice was for the young man to return to his father’s house and build a honeymoon room there and this was symbolized by the chuppah or canopy that is characteristic of Jewish weddings and under which the Jewish couple will stand during the wedding ceremony. He was not allowed to skimp on the work of either the house or the Chuppah and had to get his father’s approval before he could consider it ready for his bride. If asked the date of his wedding he would have to reply, “Only my father knows.” Meanwhile the bride would be making herself ready so that she would be pure and beautiful for her bridegroom. 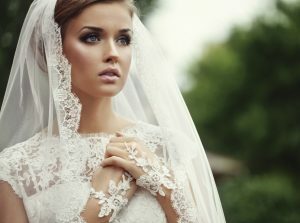 During this time she would wear a veil whenever she went out to show she was spoken for ….she has been bought with a price. She had accepted her bridal identity. When the wedding chamber was ready the bridegroom could collect his bride. He could do this at any time so the bride would make special arrangements. It was the custom for a bride to keep a lamp, her veil and her other things beside her bed. Her bridesmaids were also waiting and had to have oil ready for their lamps. It’s a reminder to us to remain full of the Holy Spirit and to be continually ready. When the wedding party arrived at father’s house the newly weds went into the wedding chamber for a seven day honeymoon and the groom’s best friend stood outside waiting for the groom to tell him that the marriage had been consummated. The journey towards Intimacy has reached a significant point. Intimacy had been experienced and the “two have become one”. Then all the friends really started celebrating for the seven days that the couple were honeymooning. When the couple emerged there would be much congratulation and the Marriage Supper could begin. What a journey! What a rite of passage! What a privilege! What a Saviour!